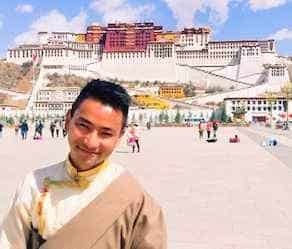 Our 5-day join group journey from Lhasa sightseeing tour is perfect for Travelers loving hike and nature with some spiritualism and Tibetan culture. In addition, we use expert English-speaking Tibetan guides who are there to help you learn more about the uniqueness of Tibet’s culture and religion. 4 of your 4 nights in Tibet are in 3-star Kyichu hotel, located in the heart of Lhasa city with many great reviews in Trip Advisor, Tibetan-owned hotels. You will also be able to explore the Old Town of Lhasa and rub shoulders with some of the thousands of pilgrims who are here each day. 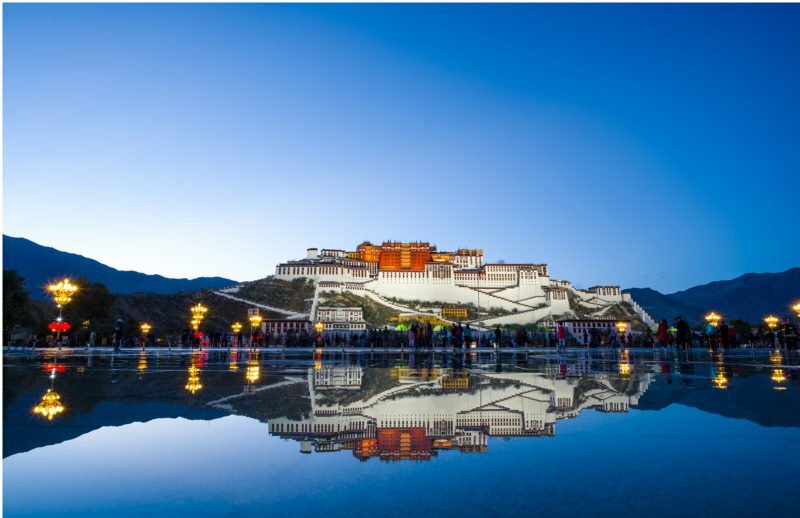 Altogether, you will spend 4 nights in Lhasa. Next, you will have a 1-day tour outside of Lhasa city to Yamdrok lake, on the 5th day transferred to the Lhasa airport or train station. After breakfast, you will visit the Jokhang, the holiest Buddhist temple in all of the Himalaya. Each day, many thousands of Buddhist pilgrims come here to worship. Many have traveled well over a thousand kilometers by foot to see this 1400-year-old temple. Today you will also visit one of the wonders in Tibet, the massive 1000 room Potala Palace, the most iconic building in Tibet. You will work your way up the steps of the Potala and then go through the most important rooms in this famous UNESCO site. Today we start the day traveling to Ganden monastery, the most important monastery in the Gelugpa school of Tibetan Buddhism. The highlight will be the 1-2 hours hike from the back side of the mountain to see the whole Ganden valley. 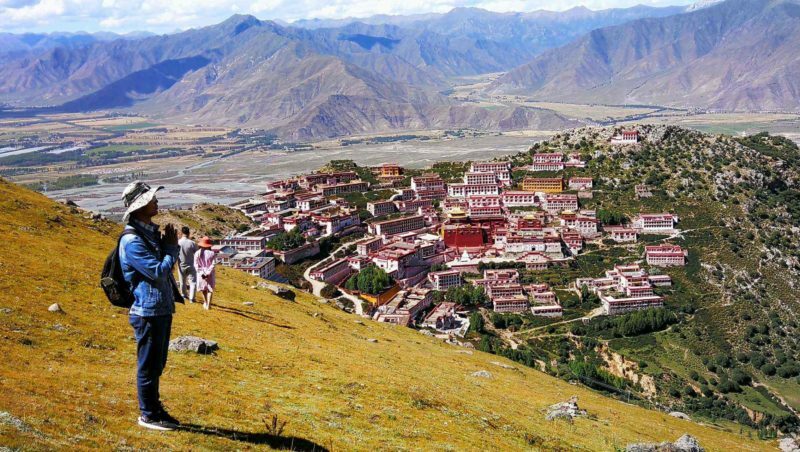 Since there is only vehicle trip on most of the tours so to make the tour special, arranging the hiking tour is one of Tibet Travelers specialty for the Travelers. 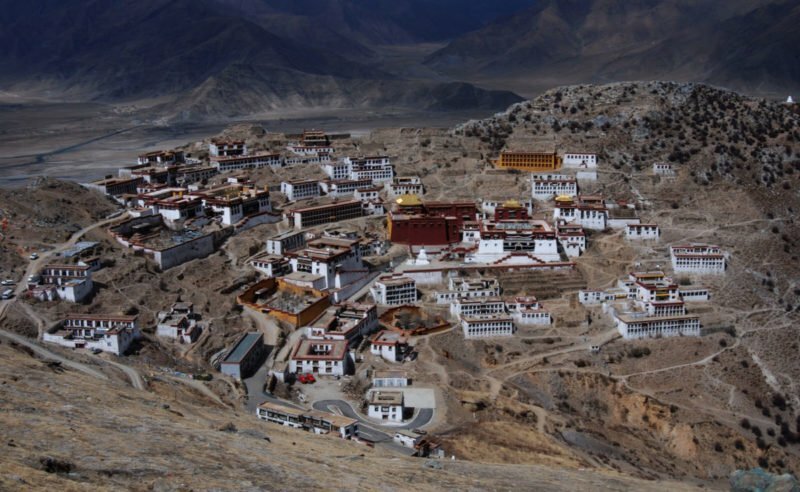 The hiking route is also known as pilgrim kora route for the local Tibetans. Very few Travelers can be seen so it's special. 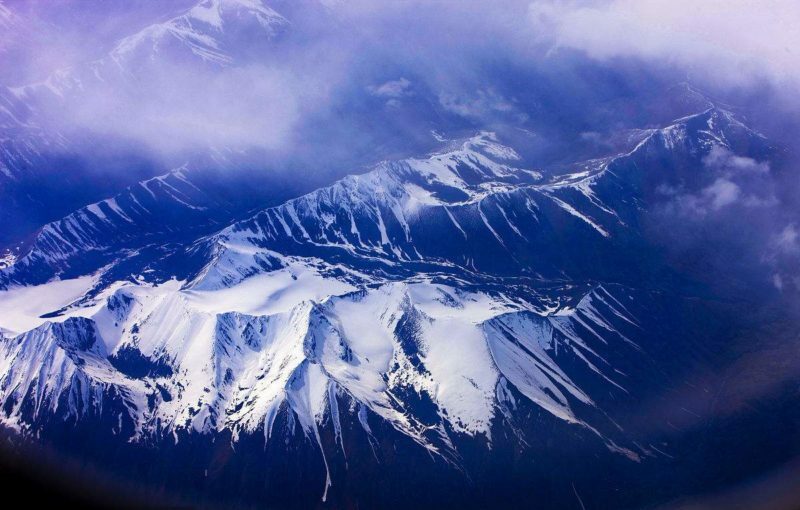 Today Travelers will travel from Lhasa to Yamdrok Lake, one of Tibet’s holiest and most beautiful lakes. Yamdrok Lake sits at 4450m and is an amazing turquoise color. On the way to the lake, we will be driving near the Yarlung Tsangpo River and also lots of small villages along the way. 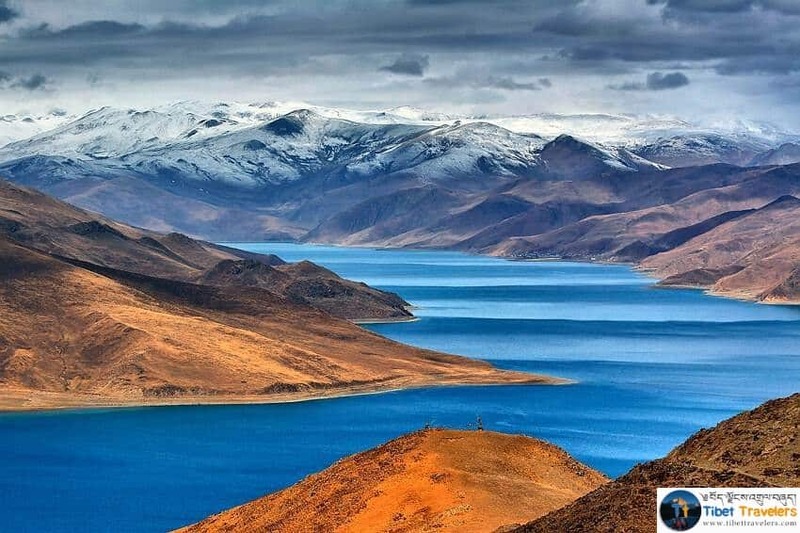 After driving about 90km then we will drive through the Gambala pass (4900m) See the view of the lake Yamdrok and drive down till the lake, Spend lots of time hike around and then drive back to Lhasa.